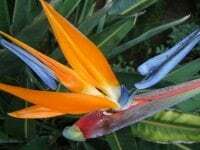 Hawaii is an unforgettable place; if you need a reminder of your visit to this beautiful island, it’s simple, fast, and convenient to order tropical flowers from East Hawaii. Great for that special someone, occasion, or home! Clarine has been specializing in flower production, harvesting, and arranging for over 20 years. Great care is always taken to ensure the best customer experience. There is never a substitute for that personal touch! Book Now! NOTE: All guests should proceed at their own risk. The Chalet Kilauea Collection Staff and Management does not assume any liability regarding any of the activities or locations described within this Website.